Are you a huge fan of all things Dr. Who? If you have answered in the affirmative, then you might be interested in the $25.99 Dr. Who Building Block Set, where it allows you to use your imagination and recreate your own time lord adventures. This is a chance for you to play with big boys’ toys, without breaking the bank, of course. With the Dr. Who Building Block Set, you can replicate your very own miniature TARDIS (Time and Relative Dimensions in Space) travel vehicle, where it comes in the classic form of the blue police box. Apart from that, the Doctor and Miss Amy will also tag along for the ride. 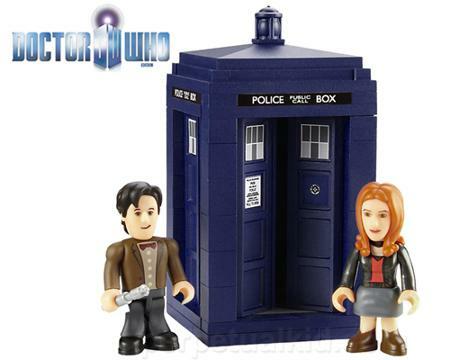 The Eleventh Doctor and Miss Amy Pond will be to accompany you on your journey via 53 constructive pieces, where the pieces are completely compatible with LEGO blocks, so the entire end result depends on your imagination, really. It is virtually limitless, somewhat akin to real time travel, although you might find yourself forking out more money eventually because you want to top it up with additional LEGO blocks.